It remains unclear if three starters will be able to play Sunday against the Rams. The Seahawks began preparing for Sunday’s NFC West showdown against the Rams in Los Angeles still uncertain about the status of three starting players who departed early in last Sunday’s 25-17 loss to the Chargers — tailback Chris Carson, safety Bradley McDougald and right guard D.J. Fluker. Coach Pete Carroll said during his weekly press conference that none would practice Wednesday, with no clear indication of when they will practice, or if they might play Sunday. If Carson can’t go, then Mike Davis would likely get the start at tailback. If McDougald can’t go, then Delano Hill would get the start at strong safety. And if Fluker can’t play, then Seattle might go back to Ethan Pocic, who began the year as the starting left guard before getting hurt and being replaced by J.R Sweezy. Sweezy then remained in the lineup with Fluker, who has played on the right side since returning in the third week. Joey Hunt replaced Sweezy in the second half Sunday against the Chargers, but Carroll said Pocic could get the call, and Seattle might be more likely go that route. Pocic wasn’t active last week with Seattle going with just seven offensive linemen (Hunt and George Fant were the backups to the starting five), so he wasn’t an option to play against the Chargers once Fluker went out. Carson is battling a hip injury that Carroll clarified Wednesday is not related to the hip injury that held him out of a game earlier this season against Arizona. Carson got eight carries for 40 yards last week before departing midway through the second quarter. The Seahawks also have to manage their tailback situation carefully this week because they have a quick turnaround next week to play Green Bay on Thursday. That means that first-round pick Rashaad Penny also figures to get work — and get quite a bit, if Carson can’t go — and that C.J. Prosise might also be active. Prosise has been inactive four of the past six games and hasn’t had a carry all season. He played only on special teams two weeks ago in Detroit in the only game in which he has been active since September. While Prosise, a third-round pick in 2016, has battled a long litany of injuries, he has been healthy this season with Carroll reiterating that point again Wednesday. 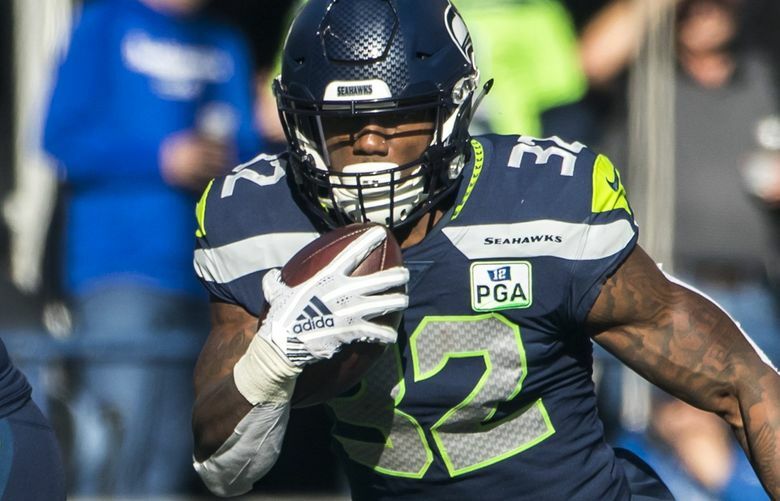 As for Penny, Carroll insisted the team is happy with his progress even though the first-round pick has essentially been the third-team tailback all season behind Carson and Davis. McDougald played sparingly after halftime last week. Hill replaced him for the final two quarters and saw the most significant action of his career. Hill got most of the starter’s reps last week in practice and will again this week, with McDougald unlikely to do much in practice. If Hill starts, it would mean Seattle starting three of its 2017 draft picks in the secondary, with Tedric Thompson (free safety) and Shaquill Griffin (cornerback) alongside Hill. Hunt filled in for Fluker last week but Carroll said Pocic could be an option. Carroll also confirmed that Seattle tried to sign former Seahawk Bruce Irvin after he became a free agent Tuesday when he went unclaimed on waivers after being waived by Oakland. Irvin instead signed a one-year contract with Atlanta, where he grew up, and also where former Seattle defensive coordinator Dan Quinn is now the coach. Seahawks coach Pete Carroll talks about the challenge of the Rams Sunday.